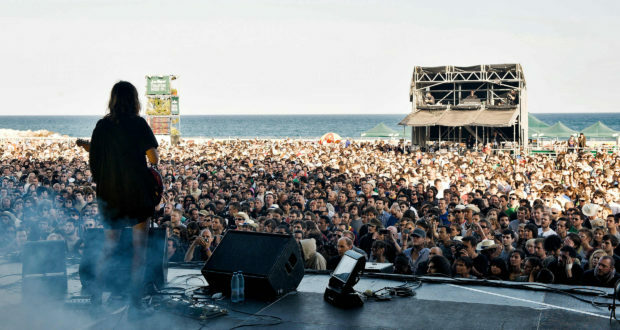 If you notice more than the usual amount of hipsters in Barcelona this month, it’s because of Primavera Sound Festival this week, followed a couple of weeks later by Sonar. So we think this is a good opportunity to tell you about the music we like and you might hear in our office and the rooftop terrace! Another Barcelona-born musician we often listen to is the singer Silvia Pérez Cruz. She performs in Barcelona on a regular bases, so check her calendar if you are in town. Sometimes when the mood needs to be more serious in the office and we need to concentrate, we turn to classical music. After reading Instrumental, James Rhodes’ book about the piano and his life, we appreciate classical music even more. On other days we like a good beat and listen to LCD Soundsystem or our Spotify Playlist by Benjamin Clementine (below). Follow us on Spotify (@yokbarcelona) if you have an equally eclectic taste in music as we do.